Here are the links to the official ROUTES! Check 'em out, download 'em, get ready to ride them! We’ve had a long winter, so we hope that you are all as ready as we are to get out on the road. 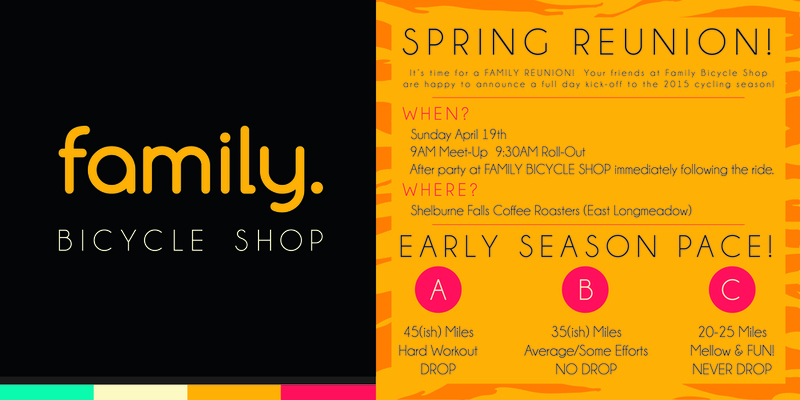 So, dust off your bikes, legs, & party hats… and join us on SUNDAY, APRIL 19th for the 2015 Family Bicycle Shop Reunion Ride!